The Aqua-Zorb water-free cell marketed by Premier Separator Services Ltd is a simple and effective means of removing water from the bottom of Diesel fuel and hydraulic oil tanks. By using a fabric sheath containing a water-absorbing formula, the Aqua-Zorb product eliminates the need to train fuel tanks to remove water. The cell can be easily replaced to provide a constant method of maintaining the integrity of the fuel, whether it is in storage or service tanks. The water content of diesel naturally falls to the bottom of the tank and can create a breeding area for bugs the impact on the quality of the diesel. Traditionally, water is removed by draining it off at the base of the fuel tank, with the associated health and safety and disposal issues. Aqua-Zorb elicited the need for draining of a fuel tank, and the expanded sheath - which contains the water - can be disposed of using conventional waste collection searches, as there is no diesel contained in the cell. 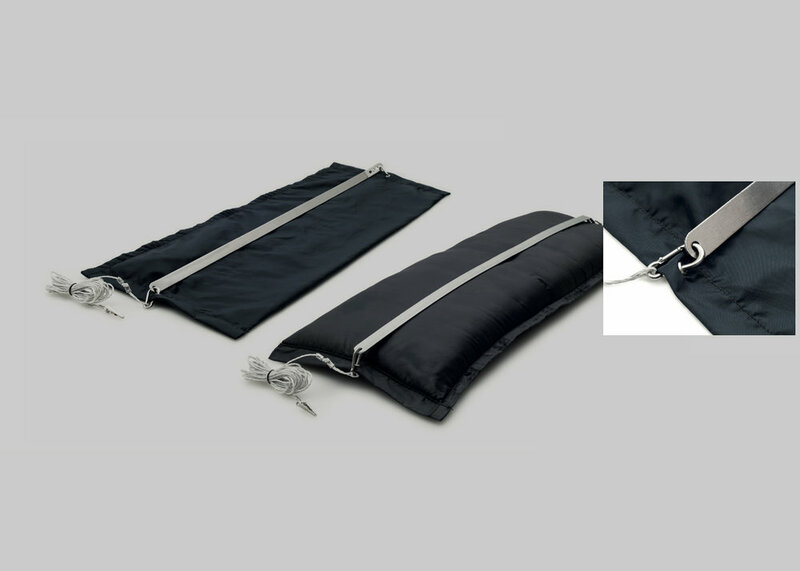 The Aqua-Zorb fabric sheath is dropped into a tank and the weight of the steal backing-plate positions it at the bottom of the vessel. The hydrophilic formula inside the sheath only absorbs water and swells up to hold the waste liquid. The sheath can be removed using the attached cord to inspect the level of absorption, and be replaced if necessary with a new Aqua-Zorb cell. Widely used in the haulage and agricultural industries, Aqua-Zorb is a reliable and safe means of maintaining the condition of stored fuel. Product tests have shown no leakage of the water from the expanded sheath, no contamination of the fuel from the products and no issues relating to removal and replacement of the product in the storage tank.